Vietnam Visa is a certificate which is issued by Vietnam government. 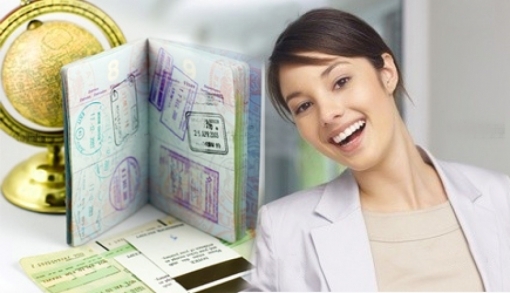 It allow you enter or exit Vietnam within the time you register with the Vietnam Immigration department. Any immigrant to Vietnam without Visa is illegal. Visa is usually stamped on your passports. Most citizens of ASEAN member-countries: Thailand, Indonesia, Singapore, Malaysia, Cambodia, and Lao citizens do not need a Vietnam visa if they are visiting the country within 30 days; passport holders from the Philippines do not need a visa for 21 days; Brunei passport holders are not required to get a visa to Vietnam for 15 days, Myanmar residents do not need a visa for 14 days. They could apply for popular passport type with return tickets. Citizens of Timor-Leste are required Visa Vietnam. Passport holders from South Korea, Japan, Russia, Belarus, Italy, Germany, Britain, France, Spain and the Scandinavian nations (Norway, Denmark, Sweden, and Finland) do not need a visa to Vietnam if they intend to stay in the country within 15 days. They could also apply for popular passport type with return tickets. Foreigners and Vietnamese nationals bearing foreign passports who enter Vietnam through an international border gate to travel to Phu Quoc Island and stay there for less than 30 days will also be exempted from Vietnam visa application. Passports must be valid for at least 45 days. After arriving on Phu Quoc Island, the Vietnamese immigration department will be responsible for issuing visas on the spot if visitors want to travel other localities or stay in the island for more than 30 days.